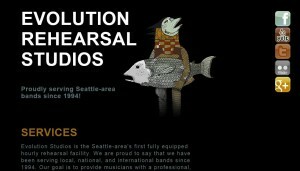 This is a single page design for Evolution Studios. The primary focus of this project was to go with as clean of a design as possible to clearly convey their message to a very broad audience of users. Excellent execution of typography was the secondary mandate. This was an extremely fun project as there was so much discussion around user experience (UX).